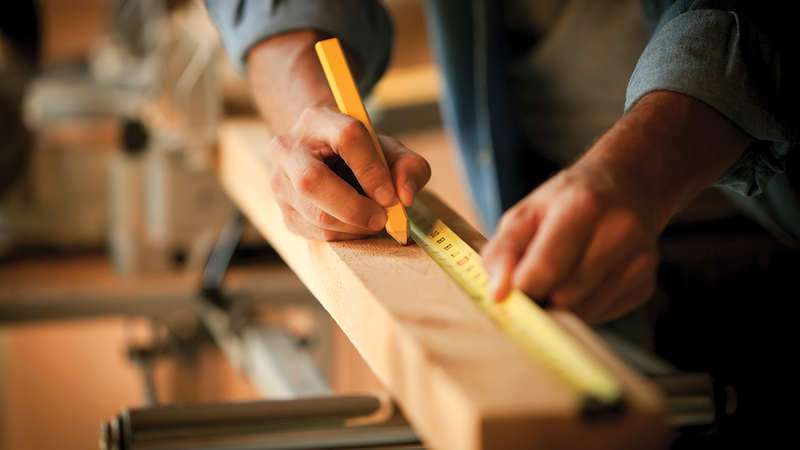 A reliable tape measure is one of the most essential hand tools you need to finish projects on time and on budget. It also has to stand up to whatever punishment the job dishes out. Milwaukee Tool answers the call with its roll-out of the aptly-named Milwaukee STUD™. Dubbed “The Industry’s Most Durable Tape Measure,” let’s take a look at what makes the STUD™ the latest must-have for your toolbox. Let’s face it. Tape measures take lots of abuse. They get dropped, stepped on, twisted, retracted too aggressively and dragged over all kinds of rough surfaces. So it’s no surprise that tape tear is a common pain point for contractors, according to Brandon Miller, Director of Product Marketing for Milwaukee Tool. The STUD™ literally gets around this problem with EXO360™, an advanced nylon coating that wraps 360° around the blade and prevents rips, wear and tear. On top of that, the STUD™ includes a fully reinforced frame and impact-resistant overmold that can survive an 80’ drop. A superior tape measure lets you take correct measurements fast. The STUD™ has bold number markings and standard increment markings that are easy to read. The EXO360™ coating protects markings from wearing off, so numbers and other markings last 10 times longer than those on a typical blade. Standout means you get faster measurements thanks to a stiffer blade for greater reach. The Milwaukee STUD™ features a 10’ straight standout. At Mid-City Lumber, our friendly experts are here to answer your questions and hook you up with the Milwaukee STUD™ and other advanced hand and power tools to make every project a success. Contact us today and tell us what you need! We'll Help You Find It.